With all the excitement in anticipating your bundle of joy, may also come apprehension of the symptoms you’ll experience. Particularly if you’ll be carrying throughout the summer months, you may be overwhelmed by ominous tales of symptoms heightening as the temperature rises. If you’ll have a bun in the oven over the next few months, consider these five tips, in conjunction with regular visits to your doctor, to stay healthy, happy, and making the most of the dog days of summer. With the heat of the season, you may be concerned about your growing baby bump and the discomfort it will cause, not to mention common symptoms such as hot flashes, dizziness, and fatigue. Keeping cool will be your optimal defense against the misery that sweltering heat and your expanding belly can bring. When indoors, keep the AC going. If you’re looking to get out, try going for a swim, it’s a great way to lower your body temp and feel refreshed. It also provides relief from swelling and pressure, as well as a great low impact workout. Drinking enough water is a challenge most people face on any given day, let alone during the dry heat of summer. While pregnant, you’ll need to be drinking even more in order to stay hydrated, a vital component of amniotic fluid production, blood volume maintenance, new tissue development, nutrient distribution, digestive aid, and your body’s detoxification process. Adequate fluid intake can also reduce common ailments such as edema, constipation, and urinary tract infections, as well as reduce the risk of premature labor. Aim for two liters of clear liquid daily, plus an additional eight ounces for each hour spent outdoors. While there are some extra precautions to take during a summertime pregnancy, there are also several positive facets that you should take advantage of. Fresh, in-season produce is one of them. An abundant variety of fruits and vegetables are available, filled with vitamins and minerals to keep you fully satisfied. The health benefits of wholesome, natural food choices will carry into your energy levels, boost your mood, and of course support cell and tissue development for baby. Local or organic are ideal options when available, but proper food storage, handling, cleaning, and preparation will ensure you get everything you want from your produce, and nothing you don’t. One of the best things about being pregnant throughout the summer months is the endless opportunities to get outdoors. Staying physically active can help you to have a more comfortable pregnancy, as well as reduce the risk of complications. Going for a walk, jog, or swim will provide a great low-impact cardio workout. Incorporating regular exercise into your pregnancy can help to keep your energy levels up, reduce the risk of certain conditions, such as preeclampsia and gestational diabetes, and increase your overall fitness, which can lead to an easier pregnancy and recuperation. The summer sun offers ample opportunity to load up necessary Vitamin D, which can lower the risk of bacterial vaginosis, preeclampsia, and gestational diabetes. However, practicing safe sun is also critical, especially with the increased risk skin sensitivity that comes along with pregnancy. Always remember protective sun wear, such as hats and sunglasses, and apply an SPF 15 or higher, reapplying every two hours or after swimming. Look for products without harmful additives, common ingredients to avoid include oxybenzone, zinc oxide, and titanium dioxide. Finally, avoid direct exposure or take extra precaution when the sun is at its peak, between 10AM and 3PM, as it’s harmful rays are also most intense then. 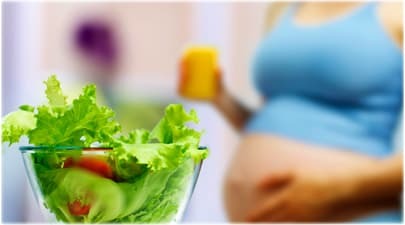 When your belly is growing as the temperature is rising, having a bun in the oven throughout the summer season may be an overwhelming thought. Whether you’ve just conceived or are in the later stages of your pregnancy, consult a trusted medical doctor for the most personalized information. Open communication with your OB/GYN is crucial to staying healthy throughout every stage of your pregnancy. Anthony C. Quartell, M.D. & Associates Obstetrics & Gynecology will address all of your individual needs, and provide professional, experienced knowledge to help you have the happiest pregnancy possible. With the support of their caring and qualified team, you can expect to enjoy the summer months, no matter when you’re expecting.